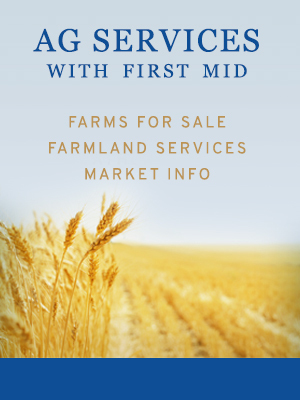 Farms come in all sizes – from small rural acreages to traditional production farms to the largest farms with commercial exposures. Every size farm has different insurance needs and should be evaluated as a unique business. Through First Mid Insurance Group you can obtain coverage for a broad range of needs. Our Farm Insurance experts will review your policies and work alongside our First Mid Farm Managers to ensure your coverage accounts for increased land values, equipment costs and grain values that older policy limits may not reflect. We will make sure your buildings, contents and equipment are covered for the unexpected. Complete the form below to provide your contact information and the type of farm insurance coverage you would like information on.